Showing recent results 421 - 435 of 4363 products found. 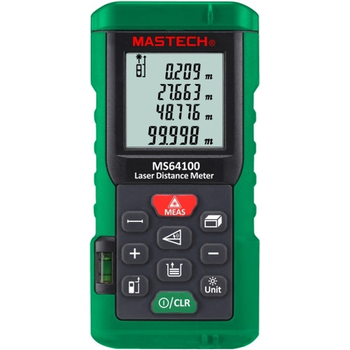 – Laser distance measurement – Distance measuring wheels. 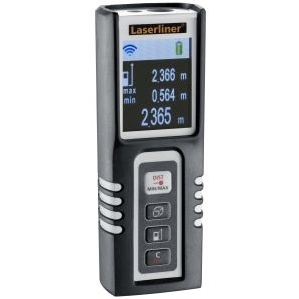 Laser measurement accurate to 0.08 in. at 32 ft. Measures from 2 in. to 115 ft. (0.05 to 35 m). Historical Storage recalls the previous 10 records (measurements or calculations). Automatically calculates Area and Volume. Indirect measurement using Pythagorean Theorem. Continuous measurement function with Min/Max distance tracking updates every 5 seconds. Addition/Subtraction, Front or rear edge reference. Low battery indicator, Auto power off. Complete with carrying case and 2 AAA batteries. AEM-DR - Chang Shuan Electronics Co., Ltd. 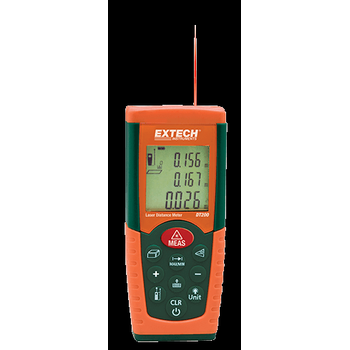 Provide high accuracy measurement, display and remote communication of single phase & three phase parameters (V, A, P, Q, S, PF, Hz, Kwh). Multicircuit design and relay output modular expansion design decrease the overall cost and make the functionality more flexible. 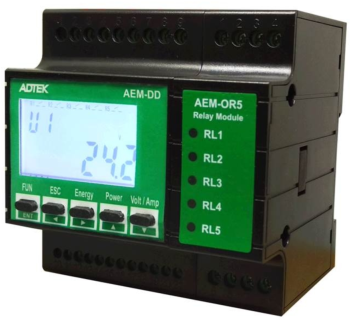 All monitored data is available via a RS485 serial , for the needs in energy management, alarming, and remote controlling. Embedded flash memory for Data-Logging can avoid any data missing once the communication is interrupted. Moreover, its ultra compact size DIN-rail mounting makes itself mountable in virtually any panel, enclosure or indoor Cabinet. AEM-DRA - Chang Shuan Electronics Co., Ltd. 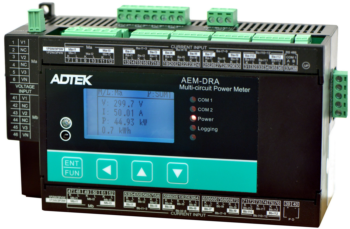 The AEM-DRA series has 2 independent and isolated main circuit inputs , can use for different power system.Up to 24 single phase or 8 three-phase circuits, programmable from push buttons with LCM display panel, or using Adtek program software through RS485 communication port.Hardware standard built in a RS485 Modbus communication port , 2 Digital inputs, 4 Relay outputs, LCM and 2 MB flash for data-logging.Optional second communication port for Ethernet, ProfiBus ,LonWorks ,BACnet and Zigbee solutions.Din rail mounting , compact and easy installation, programming through computer and push buttons easy to use. 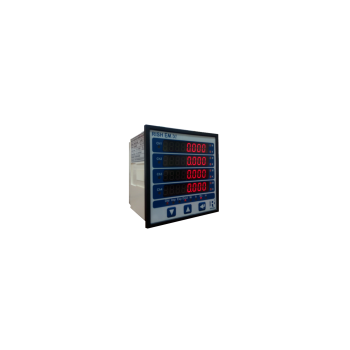 AEM-DD - Chang Shuan Electronics Co., Ltd.
AEM-DD provide high accuracy DC power measurement,display and remote communication of five loops(V,A,P,Kwh). Multi-circuit designand relay output modular expansion design decrease the overall cost and make the functionality more flexible. 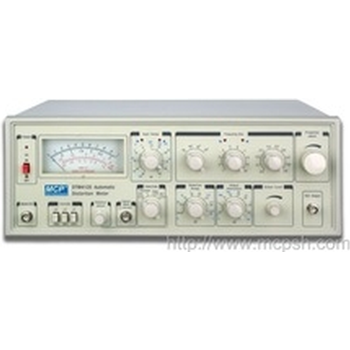 Measure RMS values of Electrical parameters. LCD backlit 4 line display. 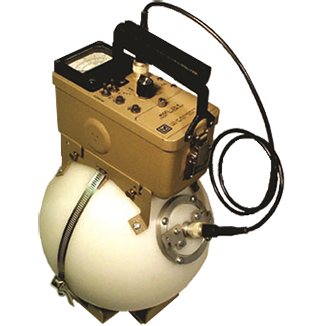 Feasible tetra-quadrantic energy measurement. 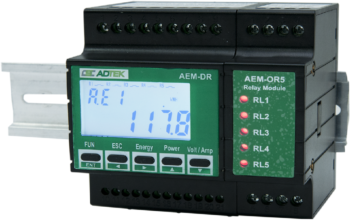 Additional pulse output configurable to any power parameter. Comply EU Norms & CE approved. Measure individual harmonics up to 21st & THD. Size: 96 x 96 mm. DIM-570 - Tecpel Co., Ltd. 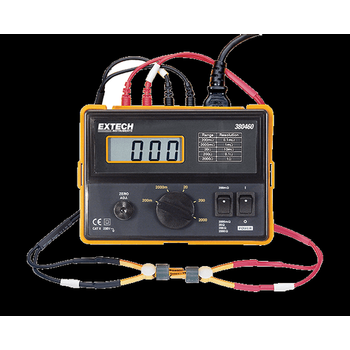 Accurate and reliable voltage, current, power, frequency, impedance and temperature measurements. 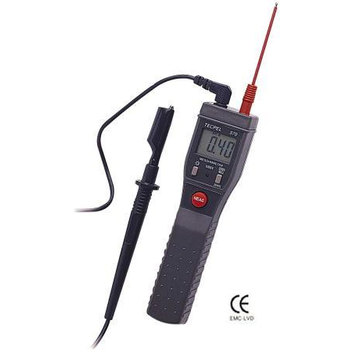 * 4 terminal devices for accurate measurement * 18 mm, large size LCD display, easy toof very low resistance. read-out. * Ideal for measuring the resistance of the * LSI circuit provides high accuracy, reliabilitymotor coil, transformer, PCB layout. and durability. * Ideal for testing protective conductors, * Built-in over input indication.lightning conductors and welded points. 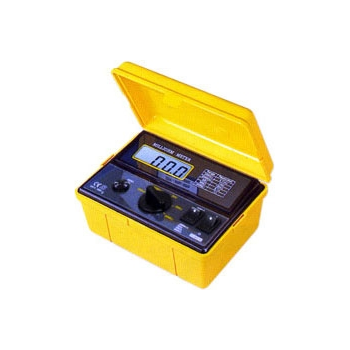 * Durable & portable housing plastic case with* Wide measuring range, 0.1 m ohm - 2000 the front protective cover. 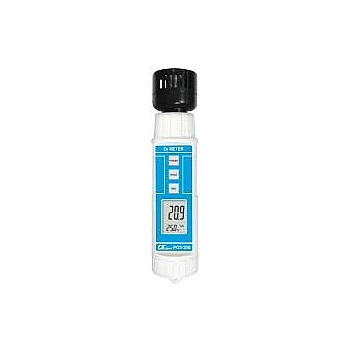 PO2-250 - Lutron Electronic Enterprise Co., Ltd.
is an electronic device that measures the proportion of oxygen (O2) in the gas or liquid being analysed. 16502 - Chroma Systems Solutions, Inc.